The awaited Budget 2014-15 has been announced by our finance minister Mr. Ishaq Dar. Well lots of good things were expected from this budget. People thought it would be a budget in poors and common people of the country will get huge benefits but it wasn’t different from other budgets of Pakistan. 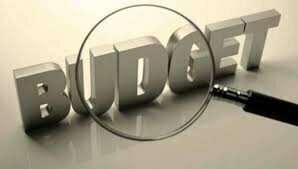 The highlights of the budget that was announced by Finance minister is as under. Total Budget volume has been announced as 3.8 Trillion and 64 Billion dollars. This huge amount of money has been distributed in following manner. 85 Billion rupees have been sanctioned for Benazir Income support which is a project of previous government and it don’t have great impact on betterment of the country. For the pensioners and salaries 40 Billion rupees have been allocated. Development programs which country needs badly have been allocated 525 Billion rupees which also include programs like metro bus service in Multan. Well this is the darker side of the budget where 1374 Billion dollars have been sanctioned for interest of loans. These loans haven’t taken our country forward but the mismanagement of our leaders have cost us this interest payment of those loans. 5 percent sales tax increase is expected on various machinery parts that is being imported to our country. A bad news for mobile set users is that increase in tax on the import of mobiles is also under observation. Tax is not imposed on Hajj pilgrims and students. The energy sector or distribution companies or Wapda has been allotted 70 billion and 79 crore rupees for installation of power projects and better management of resources. 3 billion rupees have been sanctioned to Sukkur and Hyderabad region. 3 billion and 90 crore rupees have been sanctioned to interior minister for development . 4 Billion and 69 crore rupees will be allocated for the Khanewal motorway project. Food for commen man is going to get more expensive as the government has decided to increase prices of spices. Planning and Development projects will be getting 82 Billion rupees. Well Law and Justice which needs a huge attention has only been allocate 2 billion and 35 crore rupees. However Lahore Karachi motorway will get 30 billion rupees. The minimum wage has been selected as Rs. 10,000 to 11000.